The European Software & Solution Summit 2016 (April 14th London) will reveal insights into the future role of global tracking in IoT markets. Technavio expects the global tracking-as-a-service market to exceed $1bn by 2020. The finalists for the European IT & Software Excellence Awards 2016 (www.iteawards.com) have been announced by IT Europa. A total of 86 companies from 21 European countries have made the finals. The winners will be announced at the European IT & Software Excellence 2016 Awards Dinner at the Lancaster London Hotel, on 14th April 2016. An annual survey of the top 500 Independent Software Vendors (ISVs) in Europe shows some major changes due to substantial growth in some areas, consolidation and changing market conditions. After a slow rise of 5% in the previous year, it looks like ISV fortunes have turned around strongly in 2015, based on early figures. IT Europa and Angel Business Communications will jointly be staging the sixth annual UK Managed Services & Hosting Summit on 21st September 2016. 2016 will be a difficult year to call for the European IT businesses - any of the usual linear progress in the IT industry in 2015 as a result of more powerful technologies was distorted by special factors such as cloud, security and the economic situation and its impact on dollar/euro pricing. Distributors' expansion seems to have been built on expanding portfolios and ranges of products sold, as well as selling more to partners, according to the latest database report by IT Europa, 'Distributors in Europe - the top 500'. We are delighted to announce the finalists for the 2015 Comms National Awards. 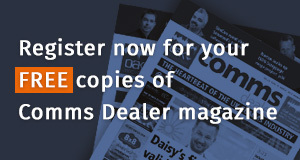 "The judges have deliberated long and hard to select this year's shortlist and we owe a debt of gratitude to them for the hard work and diligence they have demonstrated throughout the process," said Comms Dealer Editorial Director Nigel Sergent. IT Europa is to stage the European IT & Software Excellence Awards 2016 on 14th April at the Lancaster Hotel in London. Now in their eighth year, the Awards have been designed to recognise and reward excellence in European software development and IT and Telecoms solutions provision. The future success of MSPs depends on their ability to resolve the prevailing 'analysis-paralysis' paradox, according to speakers at this year's Managed Services and Hosting Summit (staged by IT Europa, 17th September at London's Bishopsgate).